Old GTAV research thread had been closed, so let's create a new one and continue our work. Working purposes are the same: to develop open for public (and opensource, if possible) projects in order to give everybody ability to explore and edit resources of GTAV console versions. - no piracy/warez (do not publish links to game download and any game archives, do not discuss piracy or illegal game sharing). 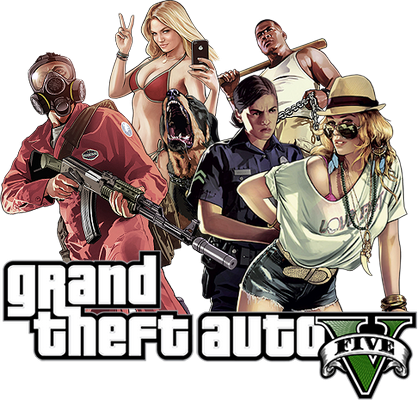 - no encryption keys publishing (do not post keys or key containing files, if you want to use GTAV soft, you need to extract keys from game executable yourself). News about textures and other things (like modding tutorials) will be soon . Last edited by Ekey on Mon Sep 23, 2013 1:14 pm, edited 2 times in total. It creates key.dat and key.txt for both platforms (Xbox360 and PS3). Description and source included. You need unpacked/decrypted console executables (Xbox360: default.xex -> default.exe; PS3: EBOOT.BIN -> EBOOT.ELF) from your game disc. About the Texture Editor: I was busy a bit in last few days (and probably will be in a few next ones), so hadn't implemented yet PS3 support at all. Anyway will continue working on, some news soon. Compression *.sys/*.gfx on Xbox360 to *.xtd is half-done, on PS3 compression to *.ctd it is easier beause it uses simple Zlib. Edition will be possible when Kronto add support for resource replacement in LibertyV and "as is" exporting. Dageron wrote: Kronto add support for resource replacement in LibertyV and "as is" exporting. I didn't add support for replacing resources yet. But I will probably add today. kornto wrote: I didn't add support for replacing resources yet. ah ok. btw how about xbox > keyxbox.dat, ps3 -> keyps3.dat? Just because implemented that names in the GTAVKeyExtractor. Last edited by redman on Mon Sep 23, 2013 7:33 pm, edited 1 time in total. redman wrote: any idea if we able to slow down the timecycle? evening at 7pm in a sunny city is a bit strange. maybe sun goes down at 9pm and then longer nights with slower clock. Mr. Mouse wrote: If you want to discuss modding GTAV start a new thread where the discussion is legitimate. We should have been faster with this measure, granted. Modified headers changed back to GFX / CFX ? Is anyone working on converting the music (specifically the score) to anything that's listenable? Any information or help on this front would be most appreciated. The Tangerine Dream score is really fantastic.